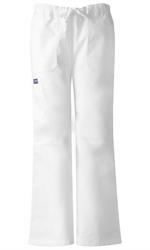 This pant features a contemporary fit, drawstring pant and a low rise waist. 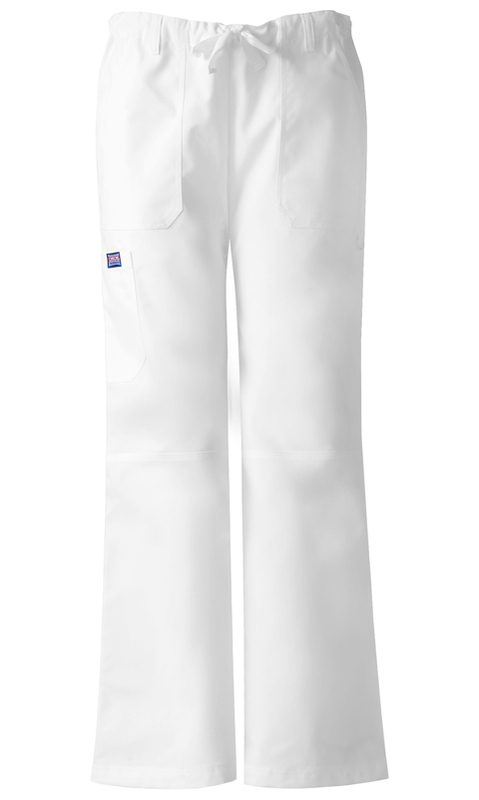 Two cargo style front pockets, a d-ring on the left cargo pocket, an extra cargo pocket and one scissor pocket, leg seaming detail at the knee, five belt loops and triple needle top stitching. Made of soft soil release cotton/poly poplin. 31" Inseam. I bought a pair of these cargo scrubs in XS like i normally do for cherokee pants. The XS was a bit snug on hips and almost too small to wear. So, I bought another pair in small and they are much bigger. I still like the pants because of the low rise cut and the cargo pockets, but I wish the XS were just a tad bit bigger. I will buy another pair in the small size soon.